“Churrasco” or Brazilian Barbecue is a centuries old tradition. In the hills of Southern Brazil, Gauchos (Southern Brazilian Cowboys) roam the land and herd cattle. Using natural wood charcoal and rock salt, Gauchos would season and roast large pieces of skewered meats over open flame pits. Today, we keep the flame of the Gaucho culture alive. Still using the same methods of roasting succulent meats by using natural wood charcoal and rock sea salt we preserve a centuries old tradition of the Southern Brazilian Gaucho. Combining the culinary experience our partners have gathered over the years, we present you a truly authentic dining experience. High quality, simple, fresh ingredients are the basis for a wonderful meal. 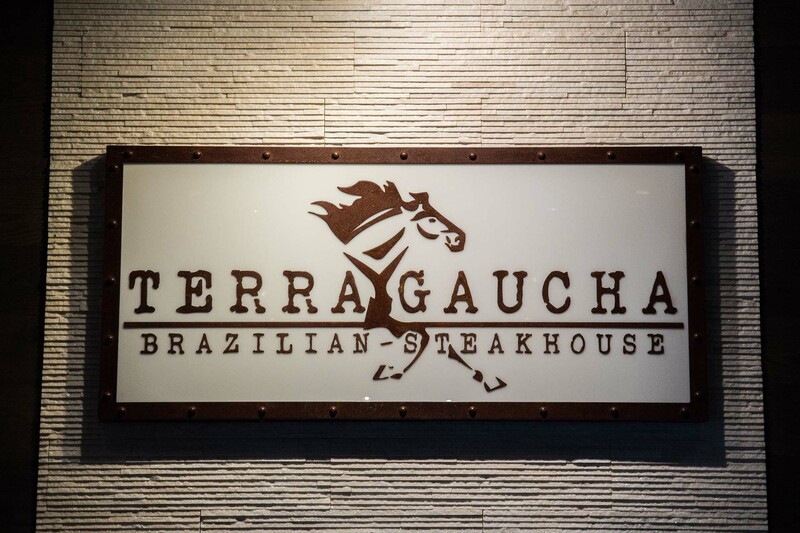 At Terra Gaucha we go beyond that to showcase the Churrascaria style cooking. There is added control to what is served to our guest by having in-house butchering of meats. Our Gaucho chefs take the time to select, butcher, season, and cook every single skewer so that it is just right. A variety to please the most demanding patron; beef, lamb, pork, chicken and fish are always available on our menu. At Terra Gaucha we understand how important customer service is to the overall experience. Our team member are never too busy to assist you with all you need to enjoy your dining experience. The entire team works together to ensure the guest has a wonderful experience. A manager is always available in the dining room working directly with our guests.